Adam Cassidy is twenty-six and a low-level employee at a high-tech corporation who hates his job. When he manipulates the system to do something nice for a friend, he finds himself charged with a crime. Corporate Security gives him a choice: prison—or become a spy in the headquarters of their chief competitor, Trion Systems. They train him. They feed him inside information. Now, at Trion, he’s a star, skyrocketing to the top. He finds he has talents he never knew he possessed. He’s rich, drives a Porsche, lives in a fabulous apartment, and works directly for the CEO. He’s dating the girl of his dreams. But when he tries to break off from his controllers, he finds he’s in way over his head, trapped in a world in which nothing is as it seems and no one can really be trusted. And then the real nightmare begins. . . .
"Fun . . .movie-ready . . . twists aplenty . . .the fear of seeing Cassidy exposed as a spy . . . provides more chills than any ghoul with a chain saw." "Jet-propelled. . . this twisting, stealthily plotted story...weaves a tangled and ingeniously enveloping web...[with a] killer twist for the end." "There's a new John Grisham in town . . . Masterfully told and thoroughly engrossing." "A built-for-speed thrill ride . . . Mr. 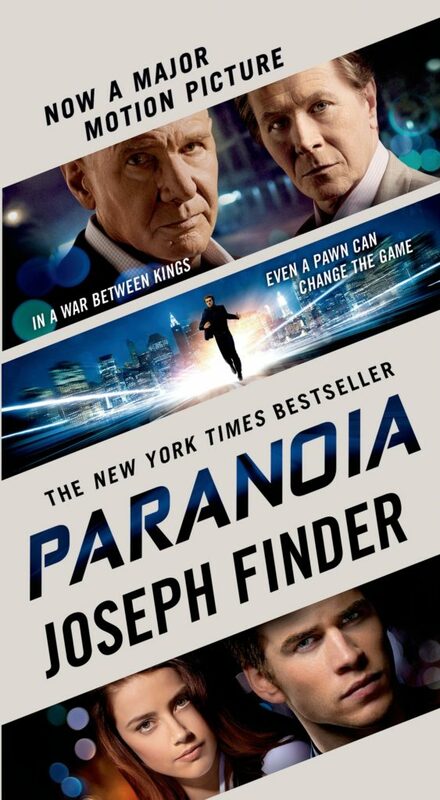 Finder, who has written nonfiction about the intelligence world, brings an authoritative-seeming knowledge of trade-craft to his fast-paced, first-person tale of techno-espionage . . . edgy and knowing."